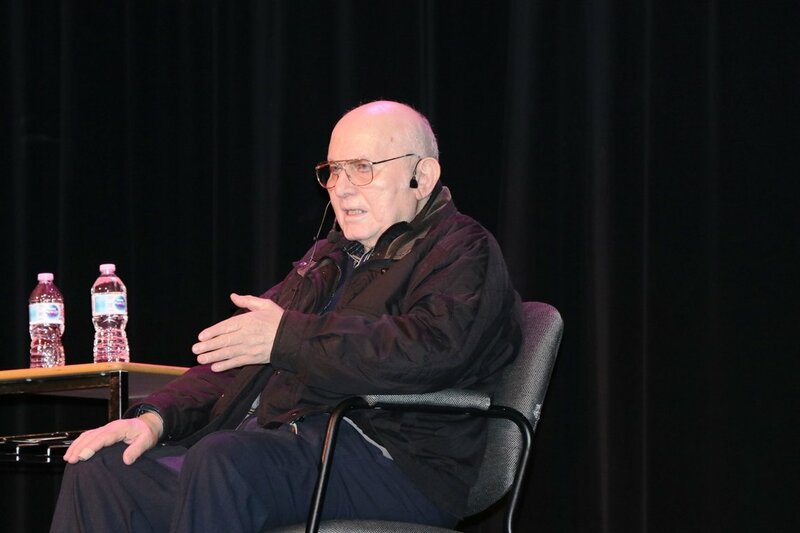 GUELPH, Ontario – On December 5, students at John F. Ross CVI had the incredible experience of hearing a first-hand account of the horrors of the Holocaust from Holocaust survivor Pinchas Gutter. Born in 1932 in Lodz, Poland, Gutter was only seven years old when the Second World War broke out. 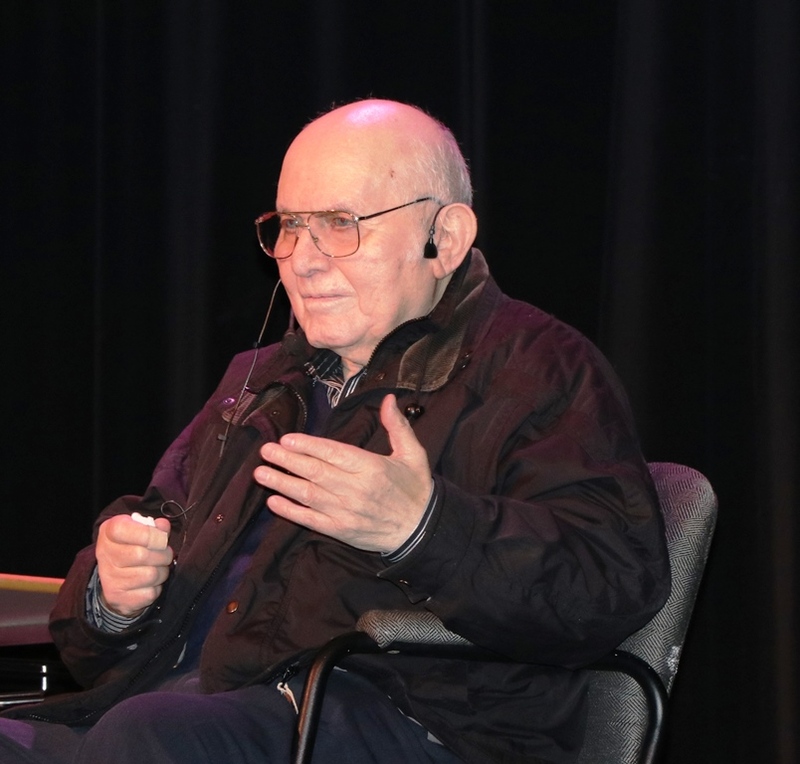 During the war, he was forced to live in the Warsaw ghetto for over three years, was part of the uprising, survived six Nazi concentration Camps, including an extermination camp, and lived through a death march. 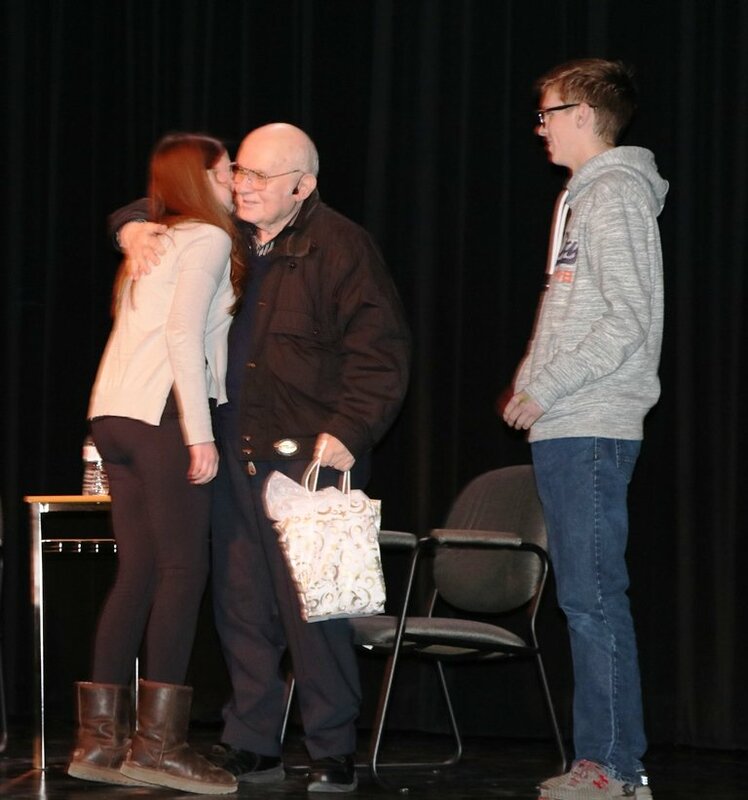 Gutter inspired students to put aside discrimination and hate with his incredible story and powerful words. Gutter, with the assistance of Elin Beaumont of The Azrieli Foundation, guided students through his life story. He spoke about his happy childhood with his twin sister, life during the war and his life after the war. 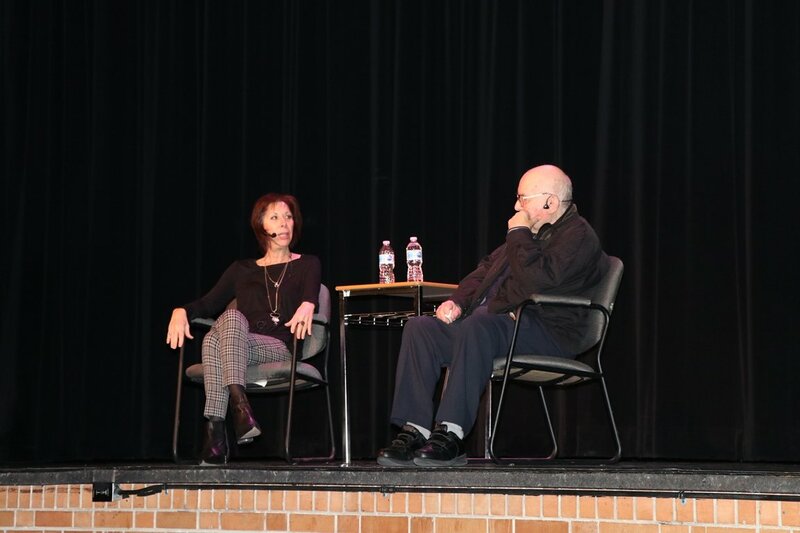 Gutter spoke to students about his first encounter with the Nazi’s at his home in Lodz, moving to Warsaw to live with his aunt, being forced to live in the Warsaw Ghetto, hiding in a bunker that his father helped build to wait out the Warsaw Uprising and subsequently being found in the bunker by the Nazi’s. After 150 people in the Warsaw Ghetto bunker were discovered, Gutter and his family were moved to Majdanek extermination camp. Once at the camp, his family was divided and his father told him to tell the Nazi guard if asked that he was five years older than he was. Gutter who was tall for his age, claimed to be 16 – he attributes this fib to the first thing that saved him. That day at Majdanek was the last day that Gutter saw his family. His last memory of his twin sister was her long braid running down her back as she clung to their mother. This day was the first of many harrowing days for Gutter as he bounced around concentration camps, work camps, a death march and finally liberation. In describing his first few days after liberation, the empathy and love for humankind could be seen in Gutter. 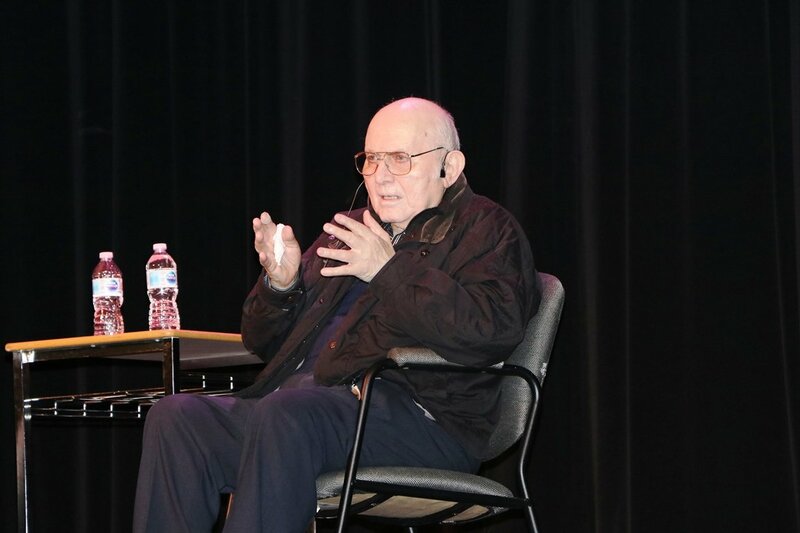 Gutter told students that in Czechoslovakia (where he was liberated) he witnessed Nazi sympathizers being beaten and stolen from in the street and couldn’t help but feel sad for them, because no human should treat another like that. 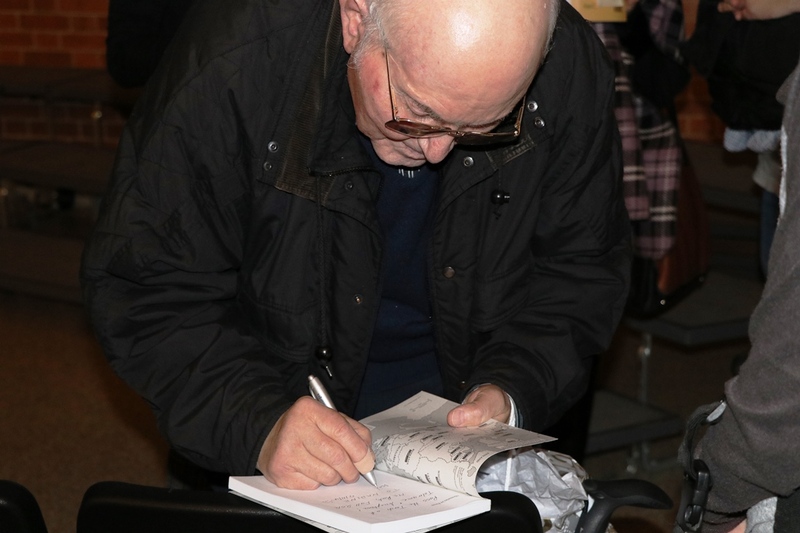 Now 86 years old, Gutter has been educating students and teachers about his experiences during the Holocaust since 2002 and challenging everyone to spread his message. Gutter told students that he carries a torch with him everywhere he goes and that he is now passing the torch on to students. The torch he carries is a torch of goodwill with four flames, no racial discrimination, no religious discrimination, no homophobia and most importantly no hatred. 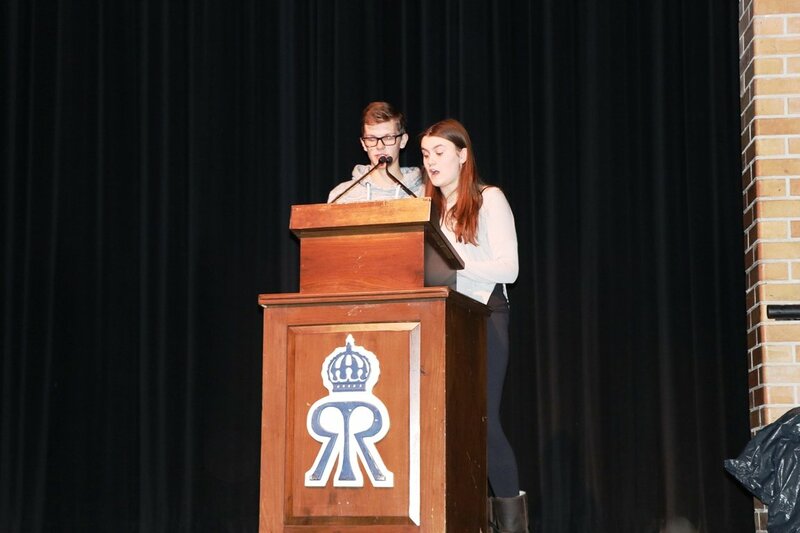 Gutter challenged students to pass this torch to one another and make sure that the atrocities of the Holocaust are not repeated.